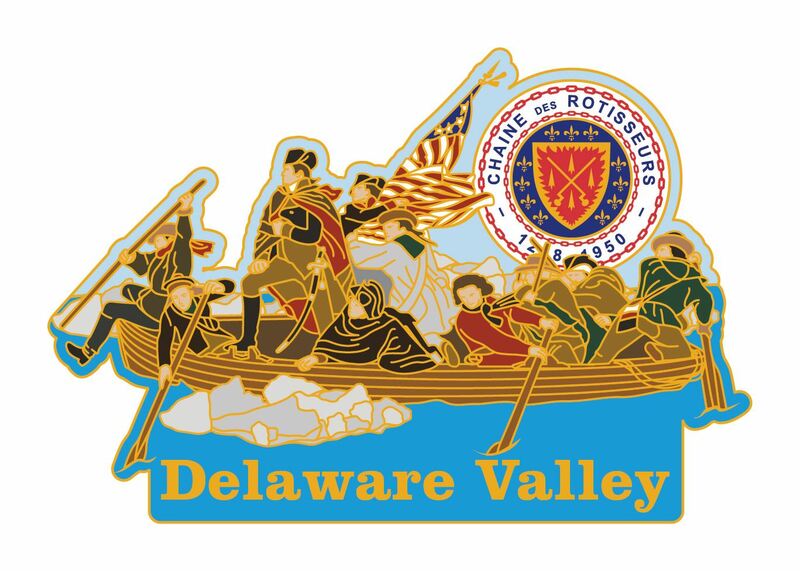 The Delaware Valey Bailliage is a young and convivial chapter of this international organization of gourmet food and wine lovers. We have special dinner events several times a year at the new restaurants that get the "buzz" as well as those which have endured because of their quality and uniqueness. The appearance of vegetables as the star ingredient in restaurant dishes is becoming more prevalent. Some restaurants have gone as far as featuring vegetables in most of their dishes. At Helm in Northern Liberties for example, they feature vegetables prominently and use animal or fish proteins sparingly. One dish, the snails, is mixed with brussels sprouts and is covered with a sauce so that when you take a bite of an oval shaped thing you aren't quite sure which it will be. Whimsical and pretty interesting! And Helm at least is attracting customers from all backgrounds and age groups. The vegetables trend is a reflection of sophisticated diners' desire to eat lighter and healthier and also try new combinations. The restaurant owners love it because it lowers food costs but they don't have to charge a lot less for the dishes, thus increasing their margins. It appears the trend will stay in place for some time to come. I wrote in February about this topic and I thought it would be appropriate to refer to it here too, and add one more thought. We are entering a new phase in American cuisine as chefs become more committed to fresh, local, up to the minute ingredients. Less important are classic recipes, more important is perfect provenance and instant creativity. Have the TV shows Top Chef, Iron Chef and Chopped contributed to this phenomenon? Remember our wonderful Mondiale dinner at Bibou? We had no menu until a week before, no pairing dinner, but we did a fantastic job with the wines and Bibou made sublime food. This was also the case at Paramour in January. This new reality means that your Bailliage has become more nimble, more responsive and more able to handle the last minute menus we will increasingly receive. A note of caution as chefs chase ingredients -- they must become more nimble too, as the timeframe from delivery of the ingredient to the restaurant and the eventual addition of it to the menu is getting shorter. But perhaps many like it that way, it is certainly more challenging. Read this blog often as it might contain interesting news! We will send an email with specific instructions and changes when we're ready. In the meantime, feel free to explore and comment. This website software is very customizable by people like me who know little about technology, so it is very powerful!